WBC heavyweight champion Deontay Wilder recently appeared on the BoxNation Podcast and answered a variety of questions asked by Steve Willis. He talked about both Tyson Fury and current WBA & IBF champion Anthony Joshua. “As a boxer, I’m not too fond of his awkward style. When you’re awkward it’s very hard for people to beat you. When you have a guy who’s awkward, whether he’s southpaw or orthodox, you’ve got trouble on your hands because you don’t know what this guy’s gonna do and what time he’s gonna do it in,” he admitted. “I think Joshua is scared to fight me. I think that you guys have boosted him and praised him so much…when you have a country on your side, it could boost your head a little bit. When you have a guy like me who knocks guys out, with a one-punch knockout, you’re gonna be terrified,” Wilder said. “I know Joshua thinks about it all the time, probably when he sleeps, he thinks about ‘one day this is going to end’ and it could end with Deontay Wilder. I’m the biggest threat in Joshua’s career. I just want to make the biggest fight happen,” continued Wilder. For the rest of the interview you can tune in to episode nine of the BoxNation Podcast and also catch an interview with Ohara Davies plus WBO middleweight champion Billy Joe Saunders. 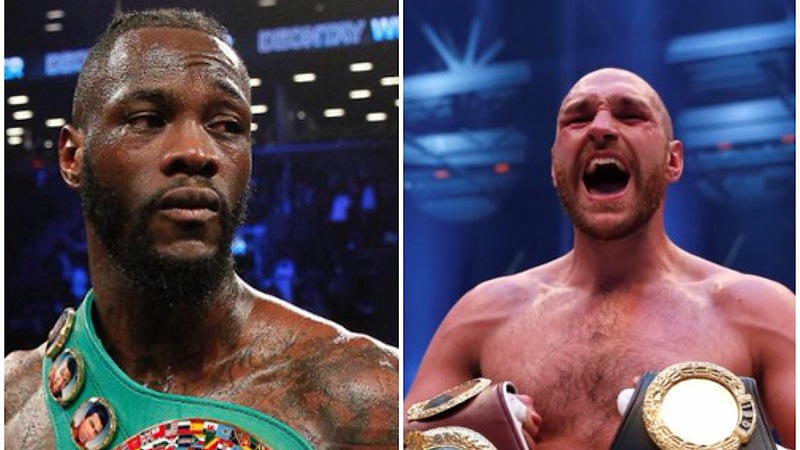 Fury Decisions Pianeta; Wilder Clash is Set!